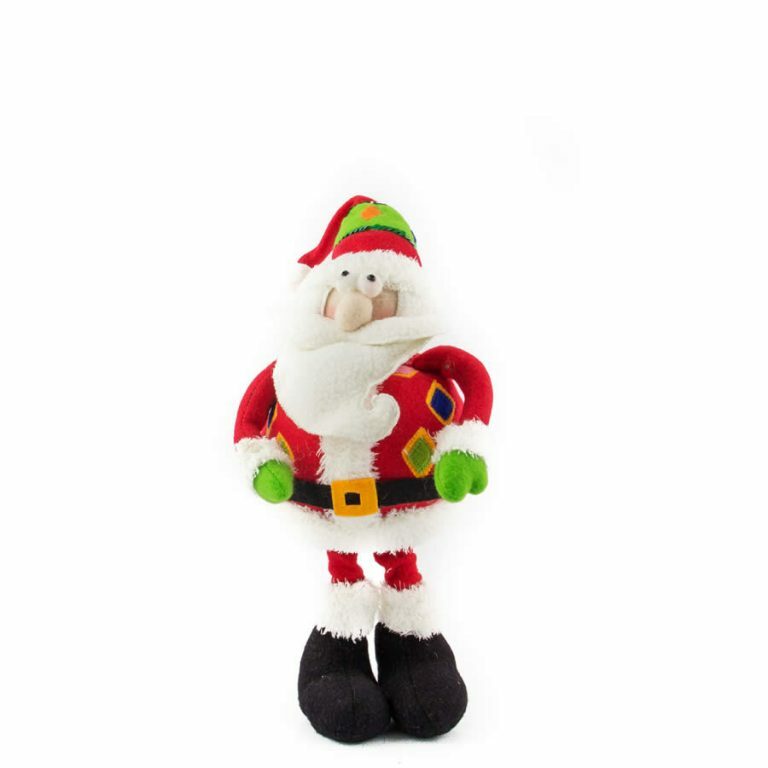 This dapper Standing Santa is an impressive 29cm in width and around 43cm tall, which makes him a great option for holiday arrangements and displays this year. This Santa is exquisitely detailed from head to toe- check out his beautiful velveteen suit, including the buckled boots and belt. Notice Santa’s long white whiskers and twinkling blue eyes that give him a friendly, kindly appearance. 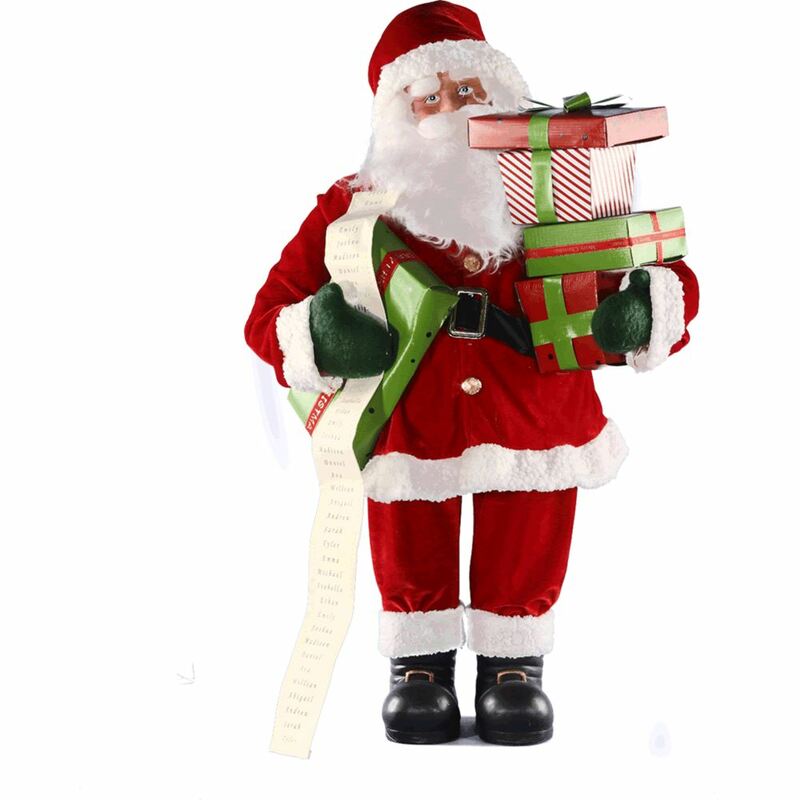 Now, Santa’s arms are loaded down with brightly wrapped gifts in holiday colours. He holds them tightly with his green mittens and clutches his very important list as he attempts to ascertain which gift is for each boy and girl. 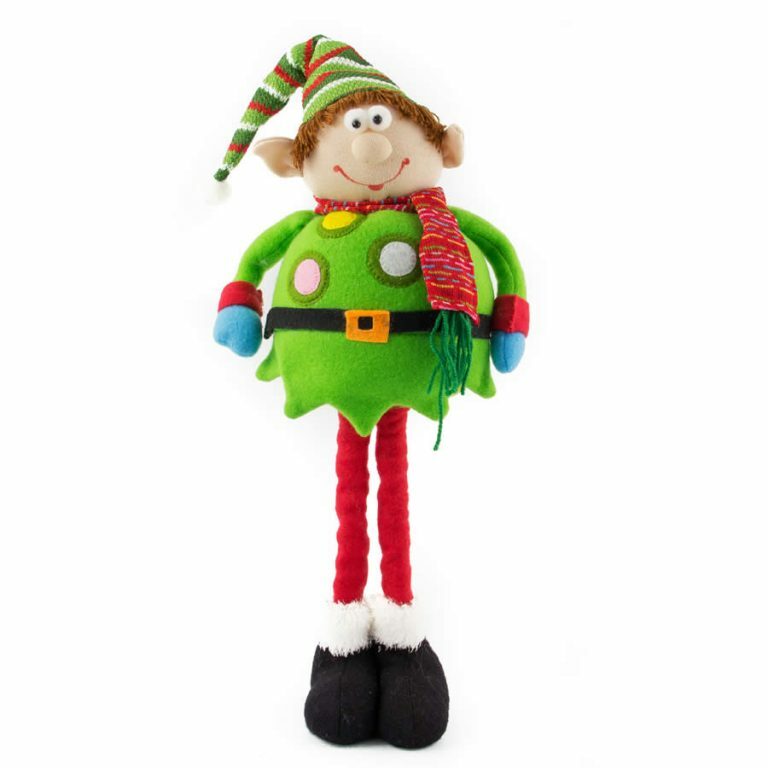 This is a darling character that will become an integral part of your home’s holiday decor. This would also make an enviable gift for someone who collects figurines or holiday accents to display in their home or work-space. Enjoy this jolly old elf this year, and for many years to come!